The second day of my holiday was a bit damp and a trip to Seaton beach (the one in Cornwall) was a disappointment – grey shingle with a nice river, sadly covered in double figures of dogs ensuring there was no bird life to be seen! The cliffs behind the sea wall look interesting botanically and there was an entomologist looking for something, but I didn’t disturb her. We left Seaton soon after arriving after a rather short walk. Before we had left though I had already got some nice photos back at the cottage. Standing in the back doorway I photographed some of the plentiful bird life of Penearth Farm, where the cottage we were staying in was located. 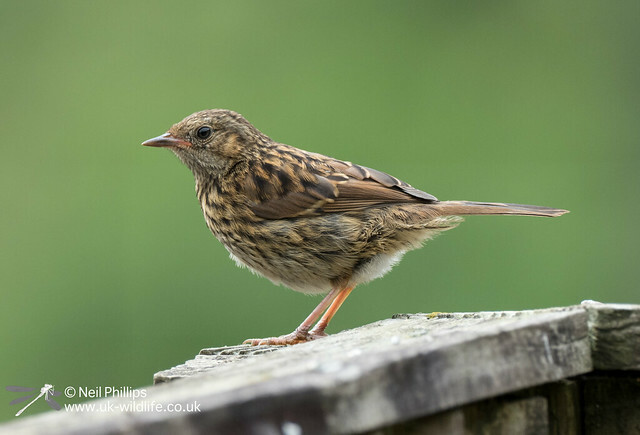 I stood an watched the fence around the little outdoor dining area as the on-off drizzle fell and this juvenile dunnock hopped up and posed for a bit. The poor light meant I only had 1/400th second shutter speed at 420mm (840mm equivalent) focal length while hand holding, but I continued to be impressed by my new Olympus cameras antishake technology, as this is pin sharp. 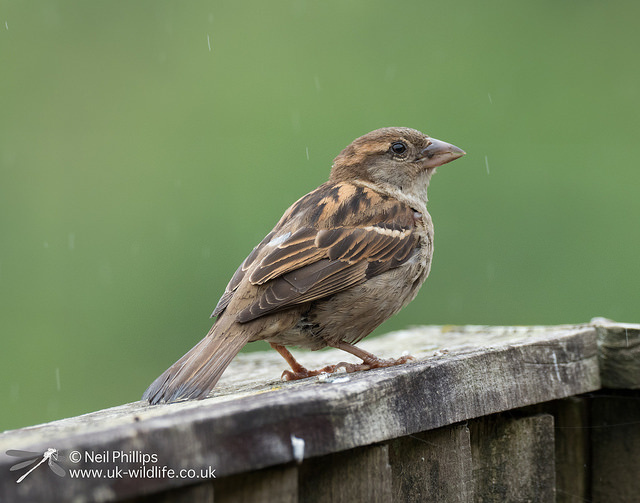 Then as the drizzle restarted this male house sparrow posed on the fence, allowing me to get some nice rain streaks in the background. 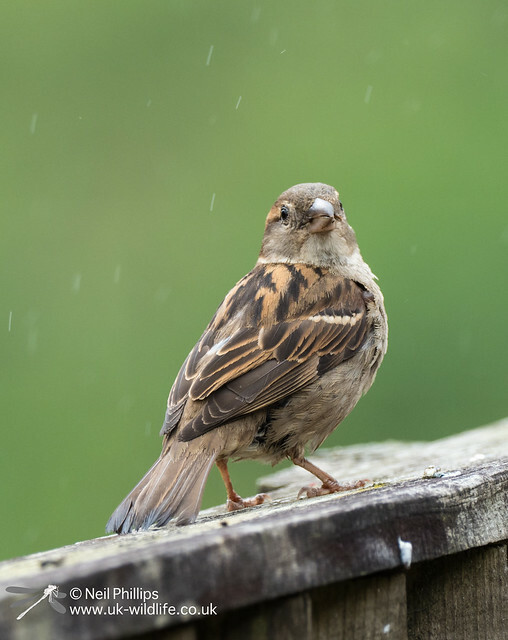 Not the most productive day photographically, but a few nice photos in the poor weather.